The BET Awards weekend was an extravaganza culminating into the BET Awards ceremony Sunday night. 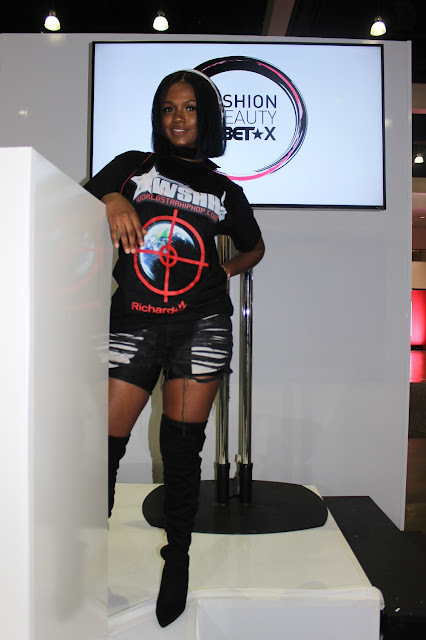 On Staruday and Sunday at the Staples Center, L.A. Live, and Microsoft Theater in Los Angleles, Califonia the BET Experience was a collection of events that celebrated black entertainment and black culture. There was so much to enjoy like the special edition of Sneaker Con where sneaker heads can swap their favorite kicks and get their fix. The Coca Cola Music stage had up and coming acts like Ingrid, Candice Boyd, and Jacequees perform while you had DJ Bova hyping the crowd. There were Genius Talks featuring the likes of Gabrielle Union and DJ Khaled sharing their insight on the entertainment industry and topical subjects. This is by far the best and most interactive weekend for any award show in entertainment. Where else can you mingle with stars, enjoy a performance, and get true knowledge on what it takes to make it in show biz? Don't be left behind next year around this time asking what should I do for the weekend. Head down to the Staples Center enjoy the BET Experience, snap a few photos, meet you favorite celebrities, and by all means have fun.